Properties in Terramaini Park average 4.6 out of 5 stars. 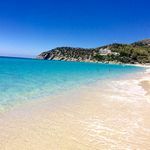 Property 5: * OFFER * Independent villa 150m from the beach of Kal'e Moru, (Geremeas), close to Villasimius and the best beaches of South Sardinia. 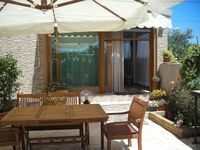 Property 14: Villa with garden VIllasimius (SOLANAS) - WIFI - Air conditioned - Relaxation !!!! Property 40: EXCLUSIVE PANORAMIC VILLA near the SEA! The Villa PERFECT for your holidays !! Property 50: The Villa PERFECT for your holidays ! !